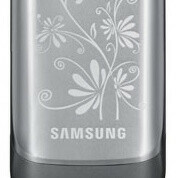 If rumors are to be trusted, Samsung is going to release a Galaxy S III model tailored especially for ladies. The smartphone will be a part of the maker's La Fleur series and will feature pretty decorative elements and floral accents all over its shell. There won't be anything new under the hood of the device, meaning that the modifications will be entirely visual. But the La Fleur Samsung Galaxy S III isn't the only girly smartphone the company is said to be working on. Rumor has it that three additional Samsung devices are to join the lineup, namely the Samsung Galaxy Ace DUOS, the Galaxy S DUOS, and the Galaxy Ace 2. According to the source of today's rumor, the La Fleur Samsung Galaxy Tab 2 (7.0) won't be released. The new variants of the aforementioned smartphones should start shipping in January, which would make them an ideal gift for Valentine's day. Alternatively, you might also wait and see how appealing the upcoming color variants of the Samsung Galaxy Note II and Samsung Galaxy S III mini will turn out to be. Samsung doesn't deserve to use French. 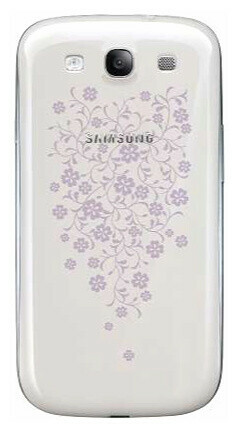 If girls wanted a special GS3 they should have just got it in white and get a girly case.